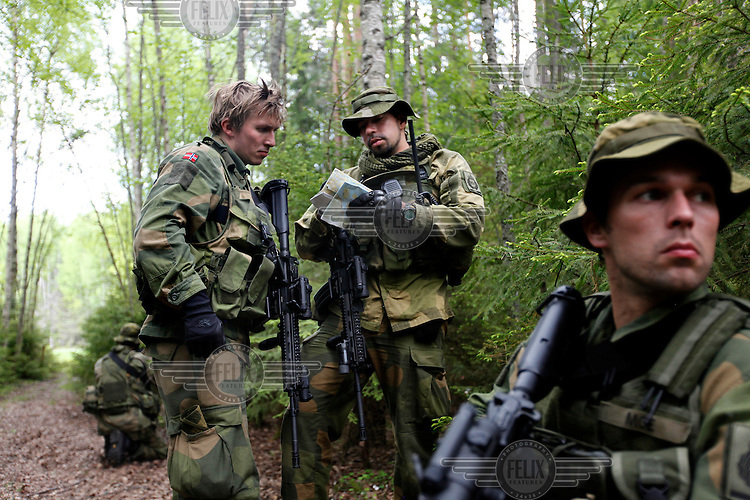 Thomas K. Pålshaugen (left) discuss the map with squadleader Lt. Ole during a reconnaissance mission. Norwegian Home Guard soldiers during exercise Djerv..The Home Guard has traditionally been designated to secure important domestic installations in case of war or crisis. With the cold war long gone, a war in Afghanistan and budget cuts, there is a debate over the Home Guard's role in the future.